Marketing is an important aspect of a small business. It is used to keep and satisfy customers by all means. Marketing challenges the creative corners of one’s mind, as it demands a lot of creativity when it comes to promoting a product. These contents are tailored in several ways just to make a great impact on the target audience. you may also see plan templates. In the online era, content really matters in marketing any kind of business. In a video that spans a few minutes, for example, everything you want to convey to the viewers can be expressed. 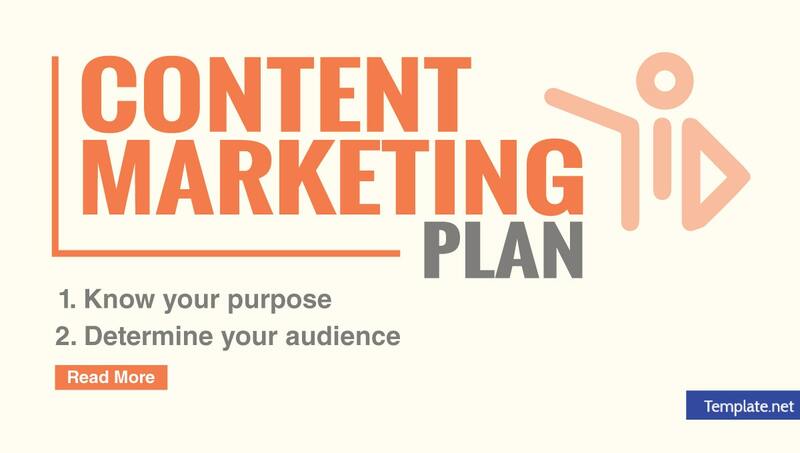 A content marketing plan is an art and business that needs to be mastered. You have to think of a concept and expand it, depending on your theme. Content marketing example hits two birds with one stone—making content and marketing it to the masses. In making the content, it is important to start with a rough draft and revise the flow of the story. This will determine how the content will be portrayed. The marketing aspect is done within the content as well. These are the steps in creating a sample content marketing plan. Have a concrete reason why you want to create content. Creative content for business marketing can draw various reactions from people. It can touch, laugh, cry, or make them angry. Every piece of content that is yet to be made always has to start with a purpose. Once you finally find the purpose, you can start thinking about the next steps. After determining the purpose, it is the time to determine the audience for your content. Your audience is one of the factors that will affect how you are going to create your content. You have to take note of the age bracket and culture of the people as well. If you are going to create something that is suitable for all ages, the content should be understood by everyone. You may also like a simple marketing plan. More brains are better than one when it comes to making content. People will have different ideas on the concept you want to pitch. Rather than using your own and hoping that it is the right idea, try to brainstorm with others. This will both challenge and help you to come up with even more creative ideas. You may also see marketing plan templates. Think out of the box. Stray out of the ordinary. Your content needs to have a unique touch to make it stand out from the crowd. Find an edge that sets your content above others and uses it to your advantage. Unique content gets to be remembered by people. You may also like word marketing plan templates. You really need to spend a big amount of money when making content. Set the simple budget and allocate amounts for the production, the salaries of the people working with you, and other expenses. This is the part where most of the work is done. You have to work long hours and reshoot some parts of the video if it does not go well. At the same time, it is also an opportunity to be creative and resourceful. Finish it well by putting some finishing touches and prepare it for release. Making content for online is both exhausting and fun, but the lessons you learn and the bond you create with people are timeless. You may also like marketing plan outline. 7. Come up with marketing strategies. After the content has been released, you can now plan the marketing strategies for it to be known by the people. It does not stop at release and watch what happens. The content needs to be promoted and shared. Social media is a great way to reach out to your audience. Your content should be released on social media sites. Depending on the setting, the content might be a full video or a short teaser. There is progress in every marketing stint, so track it well after you have distributed the content and promotions. This will determine if your plan is a hit or miss. Whatever happens, put your best effort into your next content marketing plan. Content marketing matters in every business organization. This is their instrument in getting customers to purchase their product or service. The content is what people directly see and, at the end of it, there is a call for decision-making and action. Content marketing offers a multipurpose approach to creative thinking. No idea gets junked since it can be reused and revamped. In addition, what makes the products sell even better is the impact it makes on us through content. 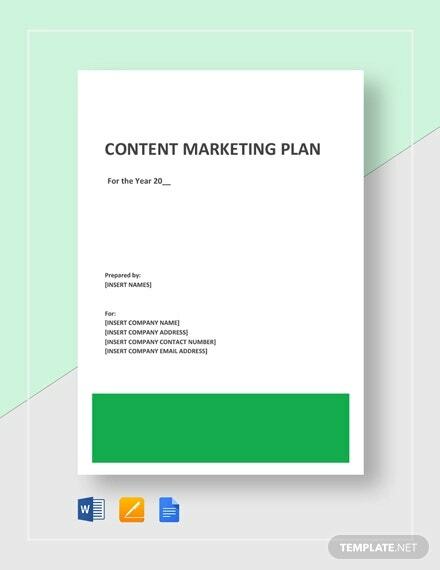 You may also like printable marketing plan templates.